We believe that an important characteristic of being a good neighbour is being open and transparent. That’s why we started a series of tours of our Halkidiki operations in Greece. Initially, most of the visitors were retired miners, who wanted to see how the mining industry had advanced, and local women who had never been to the mines. However, the program was so successful that, by the end of 2014, we had welcomed around 4,000 people from all over Greece. 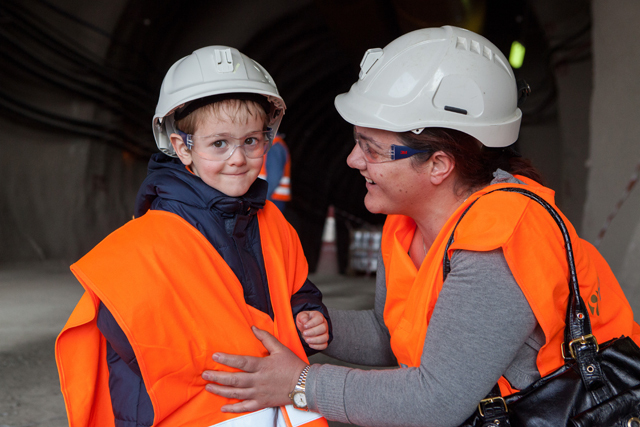 Visitors were able to observe our mining operations first-hand, learn about our environmental commitments, and talk with Company managers about issues of interest to them.